Though Instagram Stories are still very new, that hasn’t stopped some big-named brands from jumping on the bandwagon. 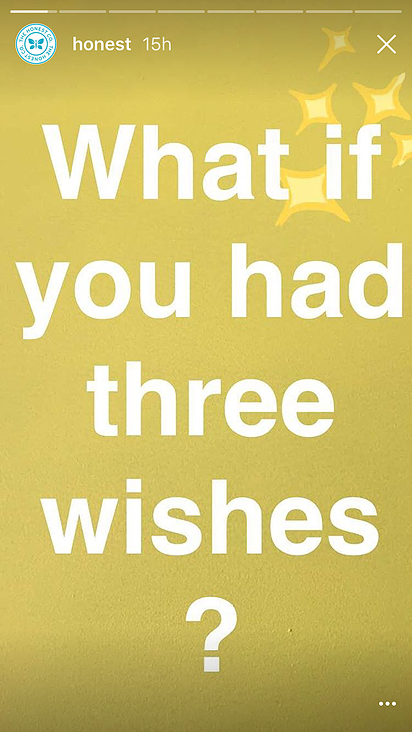 Stories offer brands a new way to engage with their loyal customers, without having to build up a whole new audience on another platform like Snapchat. We did some digging to find out which brands are using Instagram Stories most effectively, and it wasn’t easy! 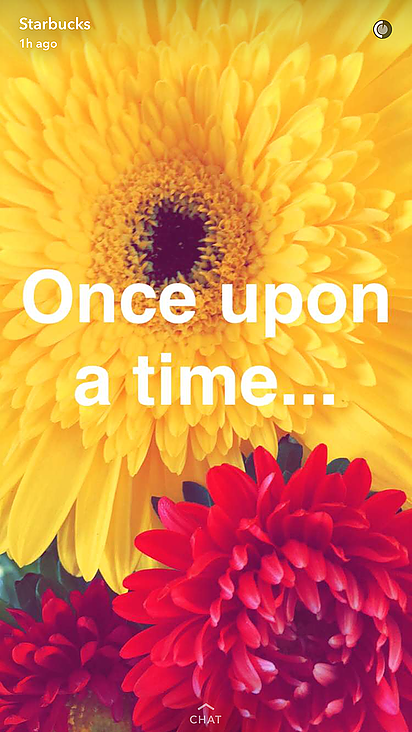 Although they are as rare as a hen’s teeth, there are some brands out there that are creating incredibly compelling Instagram Stories. 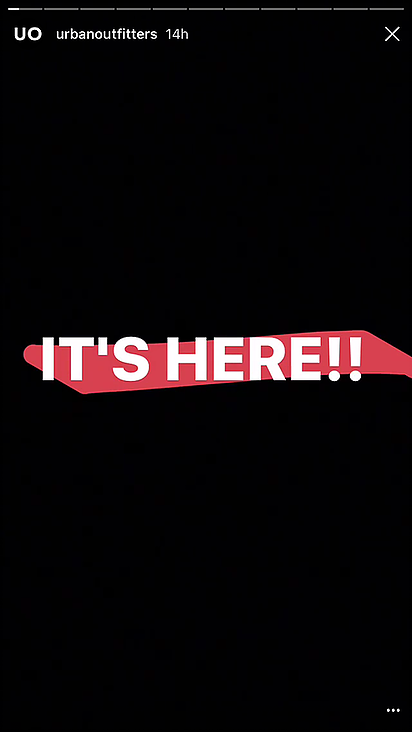 If you think that a coffee company couldn’t possibly create interesting InstaStories, think again! In the Story below, Starbucks puts on a free lesson in creative social media marketing. They embrace their goofy side to tell the unlikely love story of two of Iced Coconut Macchiato and Iced Caramel Macchiato. We’re crossing our fingers for these two young love birds! 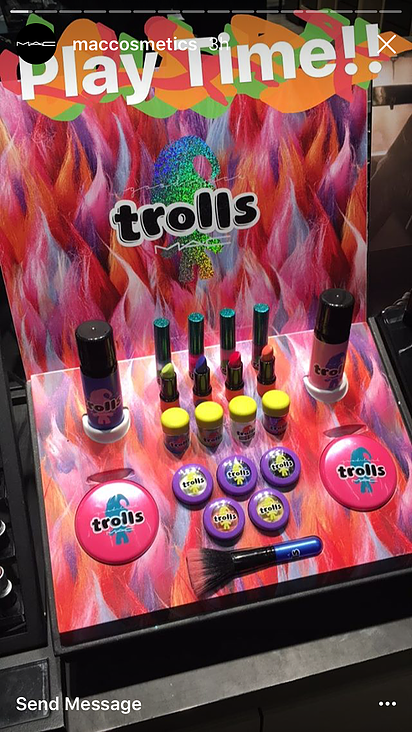 Beauty brands crush it on Instagram, and MAC is no exception. 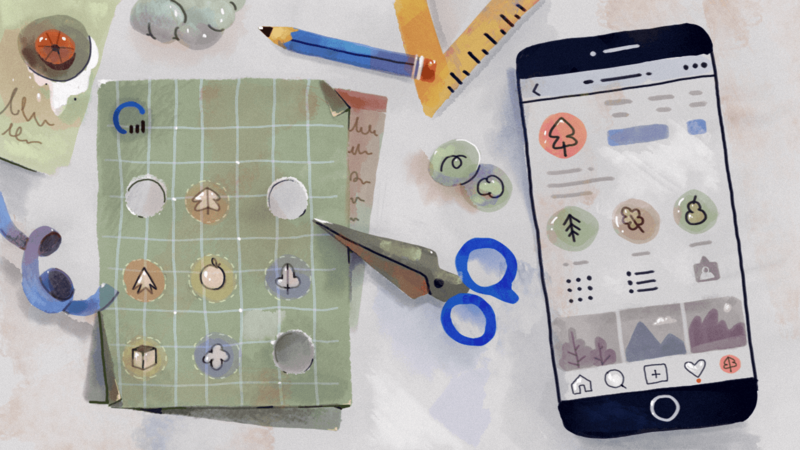 They were quick to capitalize on Instagram Stories and use them primarily to showcase their products, and teach their customers how to use them with educational video tutorials. Thanks to Instagram’s new feature, MAC makeup artists take viewers through a step-by-step process on how to apply lipstick, eye shadow, and pencil lining so their customers can take even better #selfies. Like MAC, Glossier uses Instagram Stories to showcase their line of beauty products. But their feed isn’t just a product catalog; the company makes sure to show off their personality with each new Story. 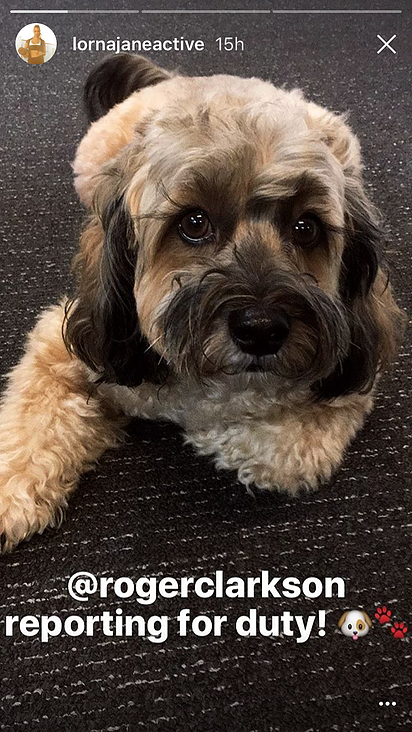 In the InstaStory below they keep it interesting by including shots of the office dog, funny customer tweets, and a hilarious to-do list. 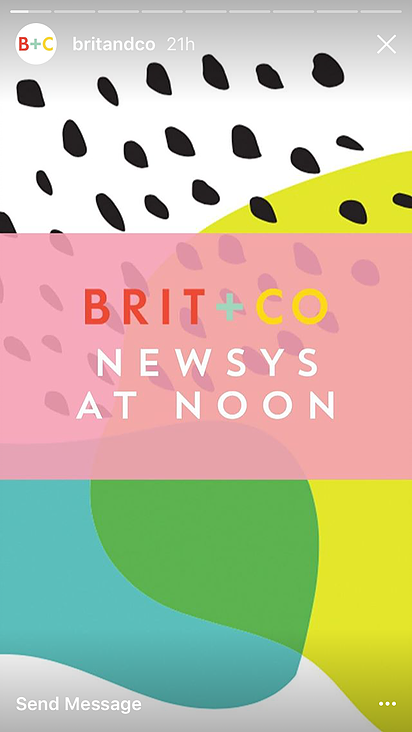 Brit + Co’s Instagram Stories are on point, bright, playful, and also informative. Each day the company posts their “NEWSYS AT NOON” which highlights the most popular news from their website. By keeping their posts consistent, their followers know what to expect, and when to check back for more. 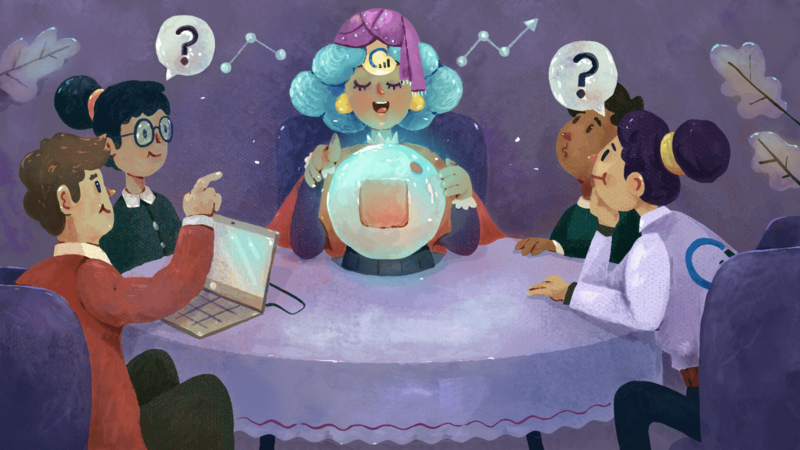 They are sure to include a call to action at the end of each segment to send their viewers to their website for more. But news isn’t all Brit + Co showcases on their feed—they also have a silly side! Once and a while they’ll post a funny puppy video, because let’s be honest, who doesn’t love puppies? With over 58 million followers, National Geographic is an unlikely Instagram heavyweight. Their Instagram feed is chock-full of the awesome photographs they’ve been publishing in their magazine since 1888. 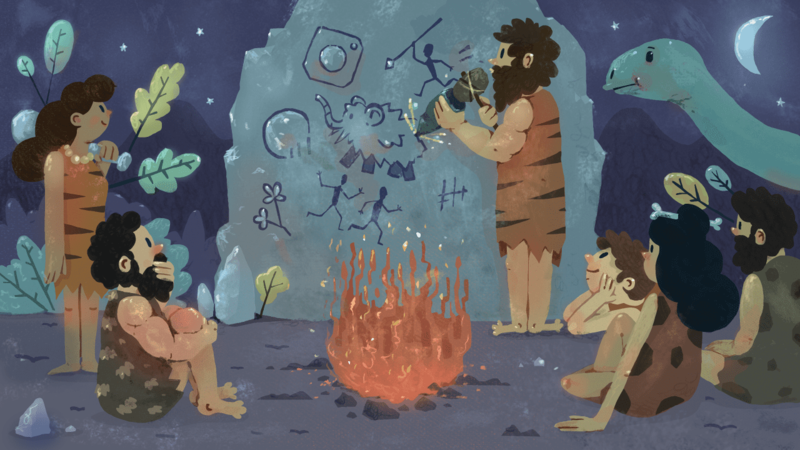 They are one of the best examples of a timeless company keeping pace with the latest social marketing trends. 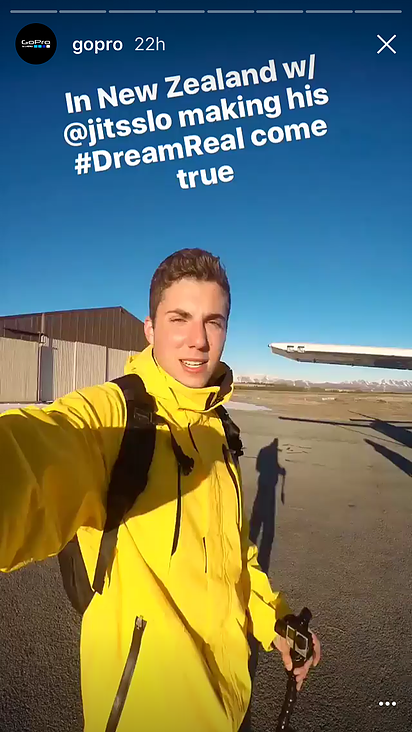 Lately National Geographic has been using Instagram Stories to take their followers behind the scenes of their awesome photographs, and the content couldn’t be more compelling. 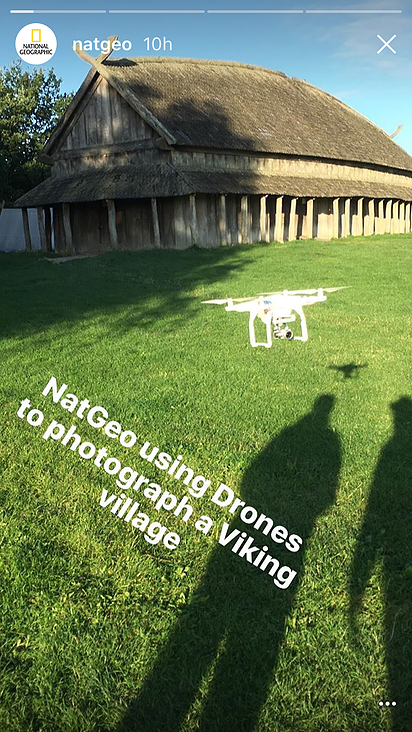 In the Story below, watch as they show you what goes into shooting a Viking Village—with a drone! Mashable is a website and media company that markets itself as the “voice of the digital generation” so you know they’ll be up to date on all the latest trends. 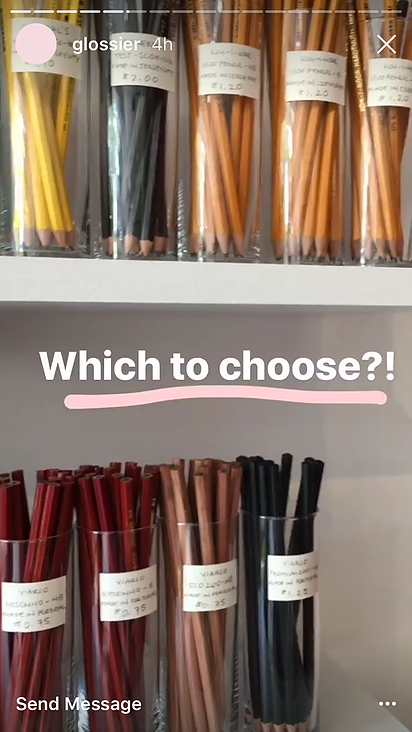 They would be one of the first brands to use Instagram Stories, and their Stories are great! The best part about their Stories is you never know what to expect. 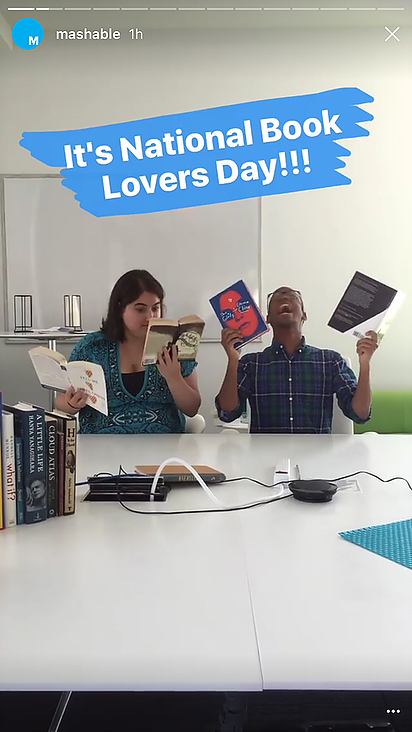 They keep them fresh and timely, like this one below, which features their employees celebrating National Book Lover’s Day. Check it out! Clean, simple, and visually appealing, Everlane’s Instagram game is tight. As a company they pride themselves on “Radical Transparency,” and are one of the few fashion brands that reveals their true production costs. Their Instagram Stories align with their focus on transparency. They let their viewers see what it’s like to walk a mile in their shoes, literally. They keep their viewers engaged by asking questions like this one in the Story below. Urban Outfitters uses Instagram to market their clothing in new and unique ways. They recently teamed up with Justin Bieber to create a clothing line dedicated to his Purpose Tour, and used Instagram Stories to announce the release. The Instagram Story below is a textbook example of an InstaStory well told. First, they get their viewers attention with a vague announcement (“It’s Here!!”). Then they make the reveal: “The entire #PurposeTourXUO is online now! !” accompanied with video of someone scrolling through the collection on their website. They include a call to action (“Head to urbanoutfitters.com right now”). Finally they surprise their followers once more with a special giveaway. This, my friends, is how it’s done. Lorna Jane does a great job promoting their line of activewear with Instagram Stories. Viewers tune in to their feed to stay abreast of all the latest Lorna Jane, such as announcements, sales, promotions, and puppies! Jessica Alba’s The Honest Company knows a thing or two about marketing to millennials, so of course they got started with Instagram Stories right away. Their InstaStories are creative and witty, jam-packed with text that keeps their audience engaged, and effectively promotes their extensive product line. Postmates is a food-delivery app with serious social media street cred. While their regular Instagram feed is full of #foodporn from the restaurants they deliver from, their InstaStories are refreshingly playful, and often hilarious. 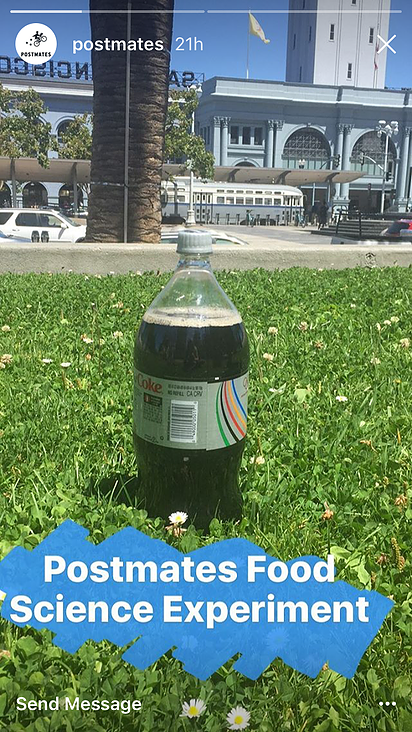 In the Instagram Story below, Postmates shows off their inner child with a classic food experiment that reminds us that explosions make for killer #content. We already featured GoPro in our list of 33 Best Brands on Instagram so you know their Instagram game is straight fire. With Instagram Stories, GoPro takes their viewers behind-the-scenes of their amazing landscapes and aerial videos that have propelled their Insta to over 10 million followers. 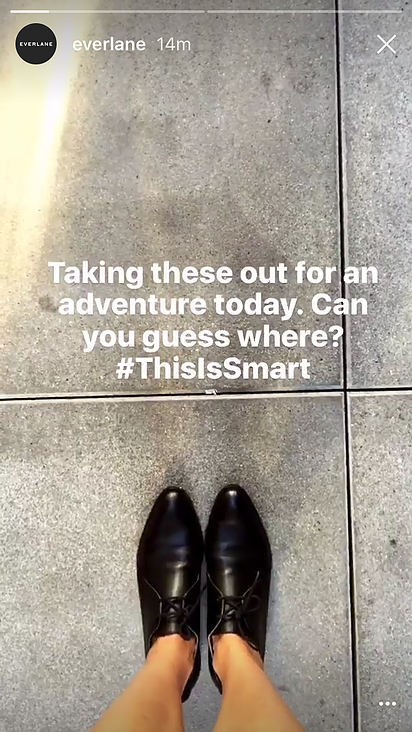 Their InstaStories are one big adventure, sure to keep your eyes glued to the screen. What do you get when you have a nice looking car, a race track, and a camera phone? 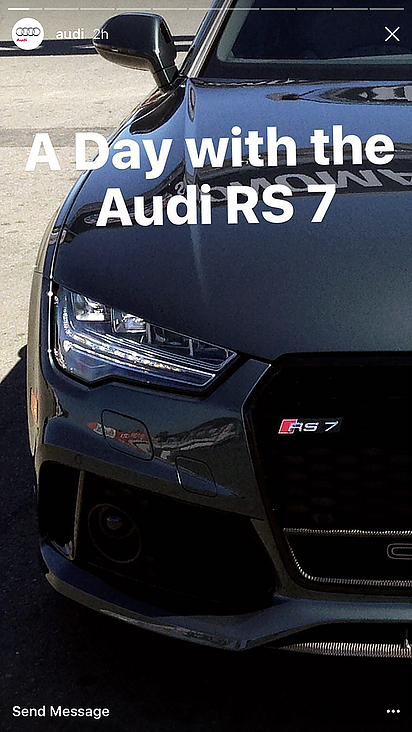 An InstaStory from Audi. Audi strings together pictures and videos of their cars in action, the type of content that makes any #gearhead eager for more. 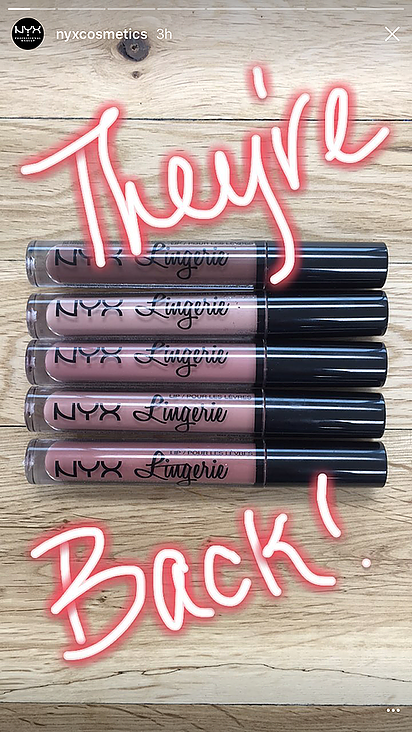 Like many other beauty brands, NYX Cosmetics is loving Instagram Stories. They use them to announce product re-stocks, and enjoy using a combination of filters, text and drawings to keep their announcements playful and their followers engaged. Shore Projects makes a line of watches inspired by the British seaside. 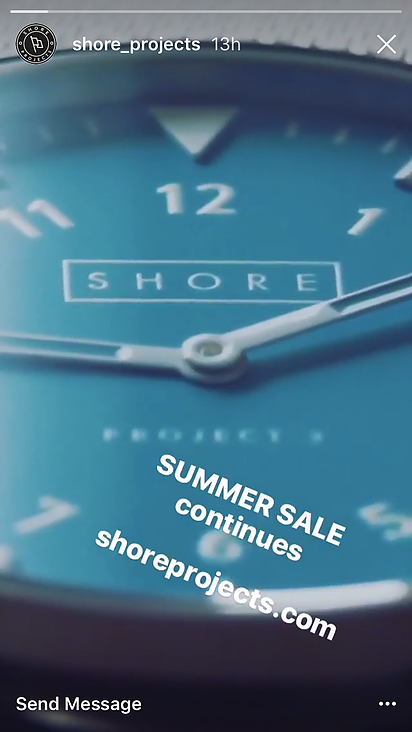 Lately they’ve capitalizing on Instagram Stories to market their high-end watches in a visually stunning way. With a series of stunning macro images of their watches, they take a simple subject, like their Summer Sale, and turn in into a small cinematic masterpiece.